By the start of the eighteenth century, many thousands of sailors had perished at sea because their captains had no way of knowing longitude, their east-west location. Latitude, the north-south position, was easy enough, but once out of sight of land not even the most experienced navigator had a sure method of fixing longitude. 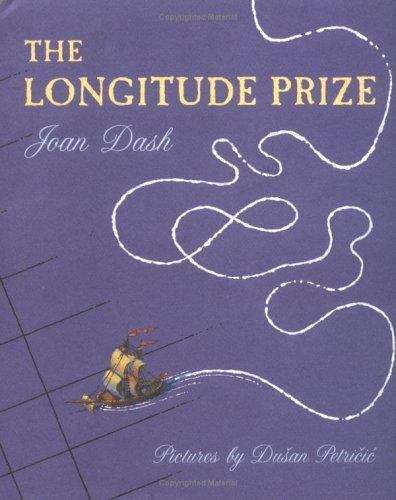 So the British Parliament offered a substantial monetary prize to whoever could invent a device to determine exact longitude at sea. Many of the world's greatest minds tried -- and failed -- to come up with a solution. Instead, it was a country clockmaker named John Harrison who would invent a clock that could survive wild seas and be used to calculate longitude accurately. But in an aristocratic society, the road to acceptance was not a smooth one, and even when Harrison produced not one but five elegant, seaworthy timekeepers, each an improvement on the one that preceded it, claiming the prize was another battle. Set in an exciting historical framework -- telling of shipwrecks and politics -- this is the story of one man's creative vision, his persistence against great odds, and his lifelong fight for recognition of a brilliant invention.